Home Advice Canadian Expat difficulties, have a Registered Retirement Savings Plan (RRSP) and Tax Free Savings Account (TFSA)? Canadian Expat difficulties, have a Registered Retirement Savings Plan (RRSP) and Tax Free Savings Account (TFSA)? 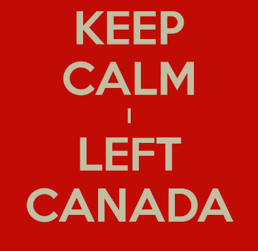 Canadian expatriate, still have an RRSP or TFSA in Canada? You’re not alone. After speaking with many Canadian expats, the question remains, can I/we transfer our RRSP or TSFA? The direct answer is YES you can, Canada does put certain rules in place for the transfer to go ahead in full. Having the correct jurisdiction is crucial with an RRSP, a TFSA is much easier for the expat. TFSA – If you currently hold a TFSA (Tax-Free Savings Account), as you have already paid tax on the entry, there is no further tax liability remaining on the transfer. You will still require a suitable overseas account that will accept the transfer of this. Depending on the country where you relocated to, will depend on the correct jurisdiction. RRSP – Still have your RRSP (Registered Retirement Savings Plan) but no longer in Canada? As the scheme is currently tax differed, Canada will look at holding 30% tax until a suitable jurisdiction can confirm a DT (double taxation exists). Exit penalties may be incurred on the exit of funds within the RRSP. Speak with an advisor at Harrison Brook, we’re happy to answer any questions that you may have.